Not just physically, but emotionally and financially–especially after you pass away. Don’t leave your family without a roadmap of what you want to happen to your money, your things, and your body. An estate planning session with me is complimentary so we can decide what’s best for those you will leave behind when you die. Let’s face it–we all die. Hopefully, we will all live a long, productive, happy life, but there are no guarantees. 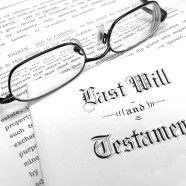 If you die without a will in the State of Georgia, your property and money may not go exactly where you thought they would. If you have children, your house may wind up belonging to your spouse and children jointly. If the children are underaged, the court would have to assign a guardian for them if your spouse wanted to sell the house. This is not true in all cases; it depends on how the property is titled. Talk to me–we can figure that out. If you don’t have a will, your spouse (if you have one) may not be able to access any money you had until several weeks after your death. They would have to ask the court to be appointed administrator of your estate and that entails a notice in the newspaper that has to run for several weeks so others can object if they are so inclined. Not fun, when your spouse may need those funds to keep a roof over his/her head and feed the kids! No one wants to think about dying. I get that. But once you’ve set up your will and powers of attorney, you don’t have to worry about what will happen to your loved ones when you finally do. Call me at 770-631-2334 to set up a meeting to talk about your wishes and needs in estate planning.